Friend of the blog Brian Z has come out of hiding after his embarrassing Walker Stalker Con incident to share with us 7 reasons why you should reconsider Z Nation. 6) Z Nation has Zombies? What the heck are Zombies? In Z Nation they know what Zombies and the Zombie Apocalypse are. I mean how could they not right? 5) Z Nation is currently airing its 5th Season. Count them 1,2,3,4,5! You will say, “Wow!” And sometimes you will think, “Why the heck did they do that?” but later realize that it was the most creative, outlandish thing ever! 3) Z Nation is the SyFy Channel’s current longest running scripted series and DJ Qualls (Road Trip, The New Guy, The Core and Man In The High Castle) is one of the stars. 2) Great Zombie kills. Gory Zombie kills. Unique Zombie Kills. 7) Wait, what do you mean 7? 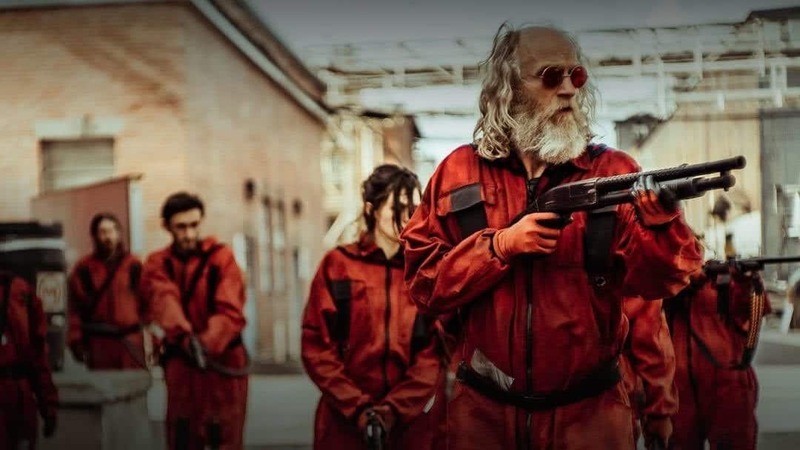 Z Nation is unorthodox. It breaks the Zombie rules and then creates some of its own. And then changes those and makes up more! 1) It is full on, no holds barred, entertainment in its purest form. 8) Eight? But up there in the title it says…never mind. Eight is just go ahead and do it. Turn it on. Take a chance and watch a few episodes of Season 1 on Netflix or on the SyFy Channel On Demand. I guarantee I will like it. Wait, what? I believe YOU will like it also. Thank you, Brian for another great post. Ok, maybe it wasn’t his biggest mistake ever, but rumor has it the people of Chicago are still complaining about the time Brian Z was throwing his @$$ blaster around at Walker Stalker Con. The Following is a guest post about his folly and hopefully redemption. The following is a guest review from Brian of BrianZFandom. Z Nation Reclaims Your Childhood Excitement! Fandom Remember when you were a kid and everything new was just the best until the next new thing came along? That feeling, that emotion, that excitement is impossible to forget.